When I planned on visiting Austin smack dab in the middle of summer, I knew I would receive unsolicited comments about the weather and wouldn’t you know it? I was right. 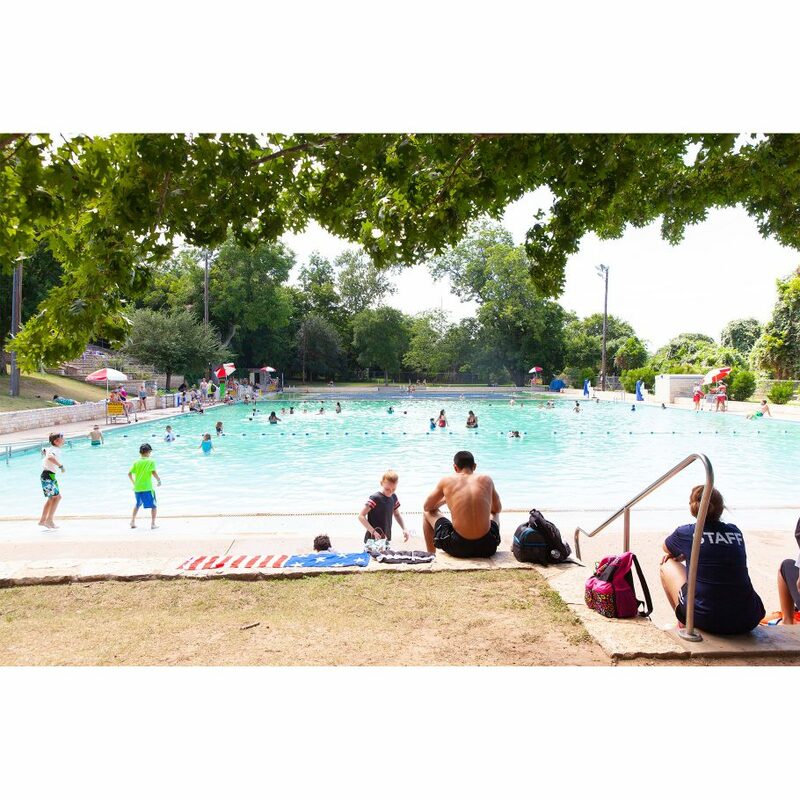 Thankfully there are plenty of fun ways to beat the heat, including a visit to Deep Eddy Pool. This man-made pool is fed with cold well water and is initially bracing, eventually refreshing when you get in. The kids absolutely loved it and since we visited in summer, there were plenty of other kids around for them to play with. 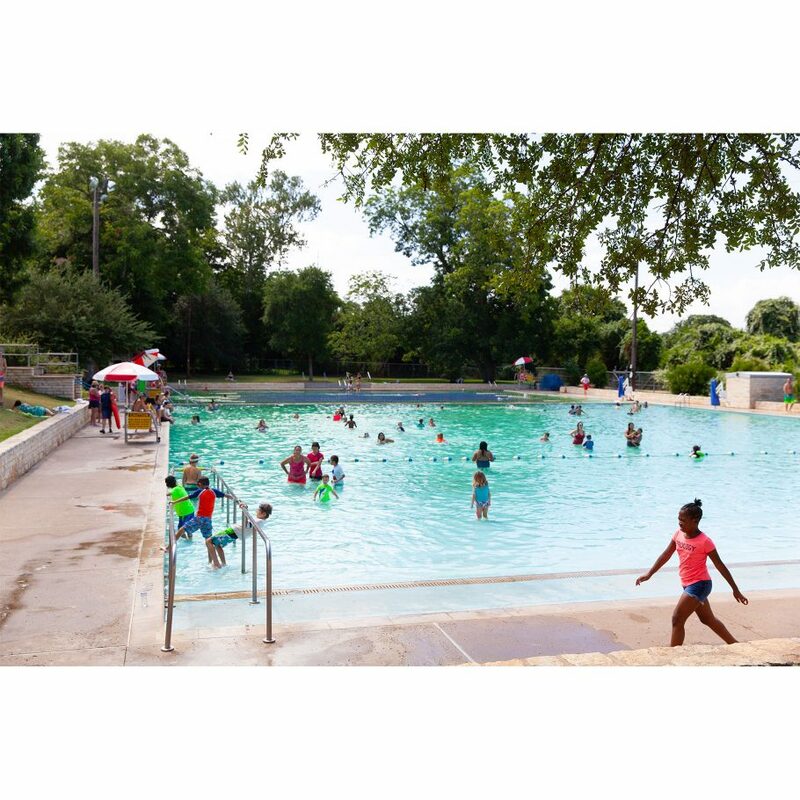 Deep Eddy is a pretty darn big pool and the kids were INTO IT. There is a lap swimming portion if that’s your thing, and the rest is just an expansive shallow spot to cool off and have fun. 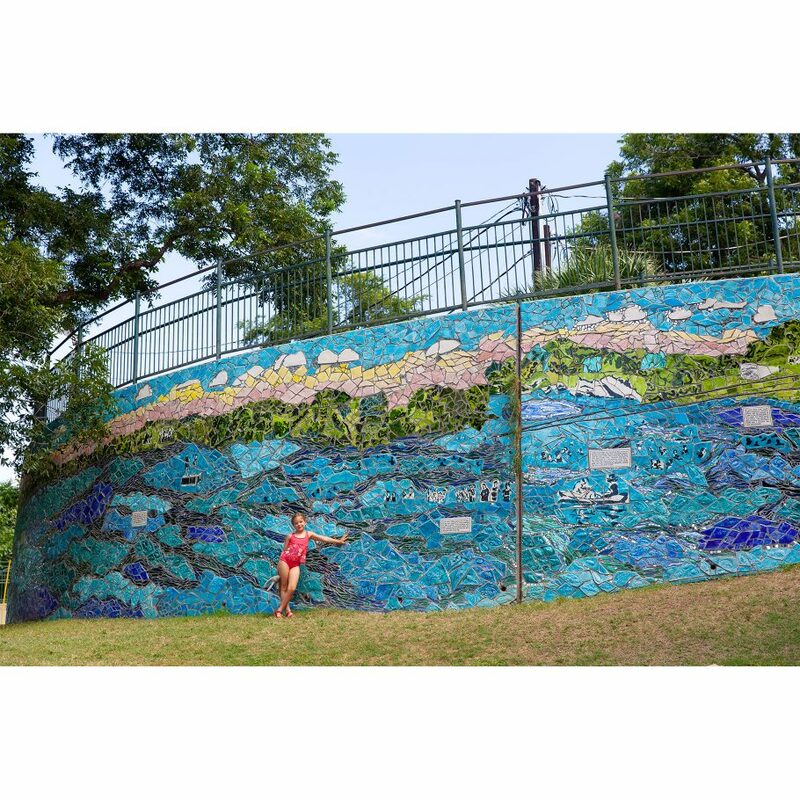 I absolutely loved this incredible mosaic mural bordering the side of the grassy lawn. The one thing I really didn’t love is that there are no lawn chairs, so you either need to bring your own or be ready to lay towels down on the grass/dirt. It wasn’t ideal but since we were traveling and didn’t have our own chairs with us, we just dealt with it.